Bill Ruffino has been serving the areas automotive needs since 1982, and took over this location in 1998. With years of technical and management training to his credit, he continues his education and maintains current certifications in business management and as an ASE Master Technician and is Advanced Engine Performance certified. 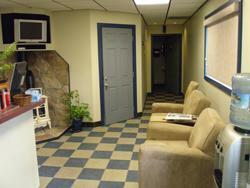 The facility is approved by prestigious organizations including AAA, ASA and BBB. A first class team completes the ensemble. From professionally trained and certified Customer Service Consultants, to Factory and ASE Master and Advanced Engine Performance Certified technicians, giving you over 70 years of quality experience. This is all done to provide the ultimate service experience. Continuous training for all team members is mandatory and essential to maintain the level of service you can expect from Bill’s Auto. Convenience - fast same day service is our goal. Honesty - we only repair what is necessary, and advise you of all your options and costs before any repairs are performed. Professional - work done right by trained and certified technicians. Quality - using the best parts and procedures with state of the art equipment. Satisfaction - highly competitive pricing for the most respected service in town. Peace of Mind - all work is back by a 12 month/12,000 mile Nationwide Warranty that is easily upgrade to 24 months/24,000 mile. Confidence - knowing if you are not completely satisfied with the service you receive, we’ll give you $100.00 Savings Bond.